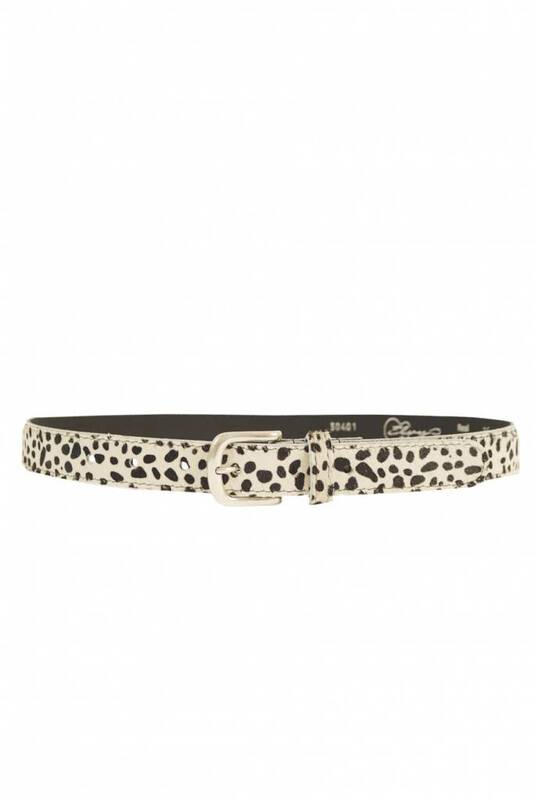 Leather Belt Skin Spot from Elvy. 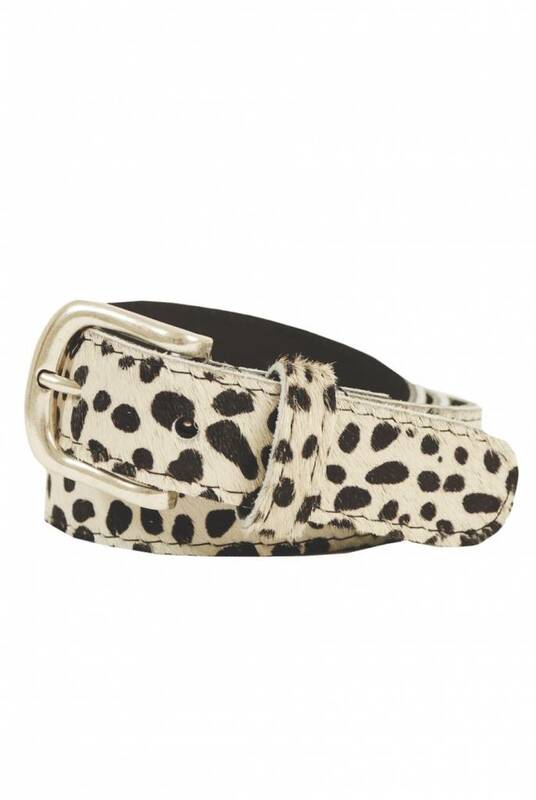 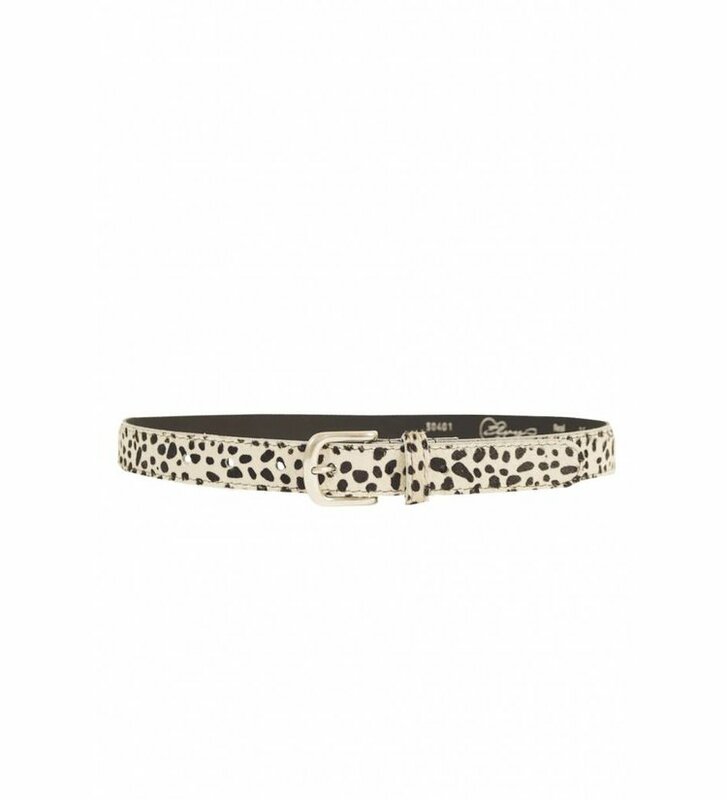 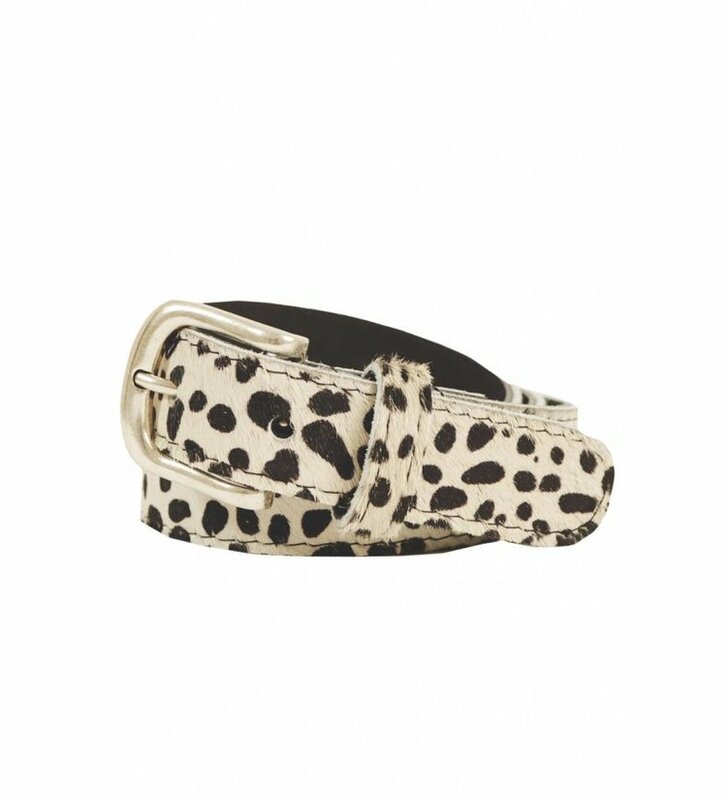 The belt is adorned with an animal print with small specks and has a metal buckle. 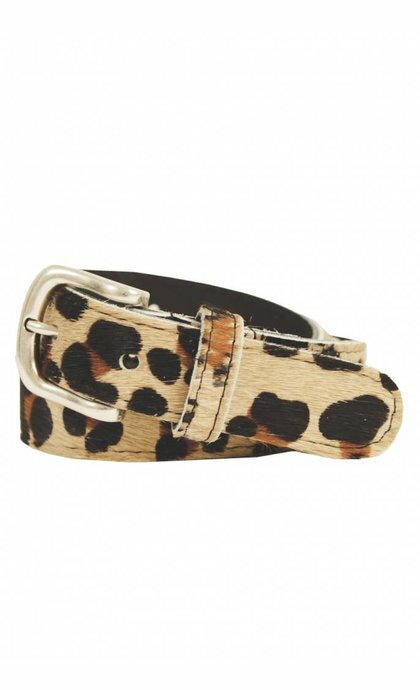 The belt is available in two lengths.